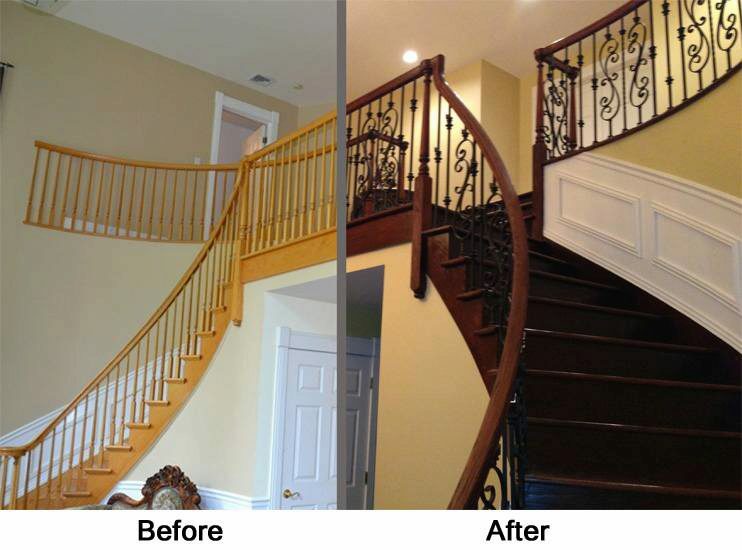 Upgrading your stair railing can have a dramatic impact on the look of your home. This project is an excellent example of a stairway transformation. Choosing balusters from multiple series can showcase elegance and creativity. In this case, the scroll, versatile, and twist series balusters bring out the beauty of this curved staircase. If you would like to plan a project like this one, check out our iron baluster design tool. This tool allows you to virtually lay out a baluster design and is the first step to making your dream staircase a reality.